This list does not include military prisons, state prisons, jails, or prisons operated under contract with local governments. It also does not include detention centers and facilities and processing centers run by Immigration and Customs Enforcement (ICE). Most United States Penitentiaries (USPs) are high-security facilities, which have highly secured perimeters with walls or reinforced fences, multiple and single-occupant cell housing, the highest staff-to-inmate ratio, and close control of inmate movement. The most notable facility in the federal prison system is Florence ADX, the federal supermax prison in Florence, Colorado, which holds inmates who are considered the most dangerous and in need of the tightest controls. USP Atlanta, USP Leavenworth, USP Lompoc, and USP Marion are medium-security facilities. USP Hazelton is in the process of adding a medium-security facility to its existing high-security unit. USP Marion contains a highly restrictive Communication Management Unit, which holds inmates under stricter controls. Many USPs include minimum-security satellite camps on the same property and under the same administration as the higher-security unit(s). Federal correctional institutions (FCIs) are medium- and low-security facilities, which have strengthened perimeters (often double fences with electronic detection systems), mostly cell-type housing, a wide variety of work and treatment programs, and a higher staff-to-inmate ratio and greater internal controls than low-security FCIs. FCI Terre Haute contains a more restrictive section designated as a Communication Management Unit for inmates considered high-security risks. Federal prison camps (FPCs) are minimum-security facilities, which have dormitory housing, a relatively low staff-to-inmate ratio, and limited or no perimeter fencing. These institutions are work- and program-oriented. Many are located adjacent to larger institutions or on military bases, where inmates help serve the labor needs of the larger institution or base. Administrative facilities are institutions with special missions, such as the detention of pretrial offenders; the treatment of inmates with serious or chronic medical problems; or the containment of extremely dangerous, violent, or escape-prone inmates. 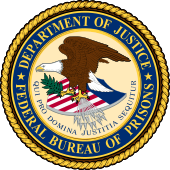 Administrative facilities include Metropolitan Correctional Centers (MCCs), Metropolitan Detention Centers (MDCs), Federal Detention Centers (FDCs), and Federal Medical Centers (FMCs), as well as the Federal Transfer Center (FTC), the Medical Center for Federal Prisoners (MCFP), and the Administrative-Maximum (ADX) U.S. Penitentiary. Administrative facilities, except the ADX, are capable of holding inmates in all security categories. ^ a b c d "Prison Types & General Information". Federal Bureau of Prisons. Archived from the original on 2012-09-15. ^ "Immigration Detention Facilities". Immigration and Customs Enforcement. April 13, 2010. ^ Zapotosky, Matt (18 Aug 2016). "Justice Department says it will end use of private prisons". Washington Post. Retrieved 19 August 2016. ^ http://www.facebook.com/matt.zapotosky. "Justice Department will again use private prisons". Washington Post.